Our third house sit took us to Ottawa. Although we have been through there numerous times to get to somewhere else, we never took the opportunity to really check it out and were excited to have this house sit drop into our laps. 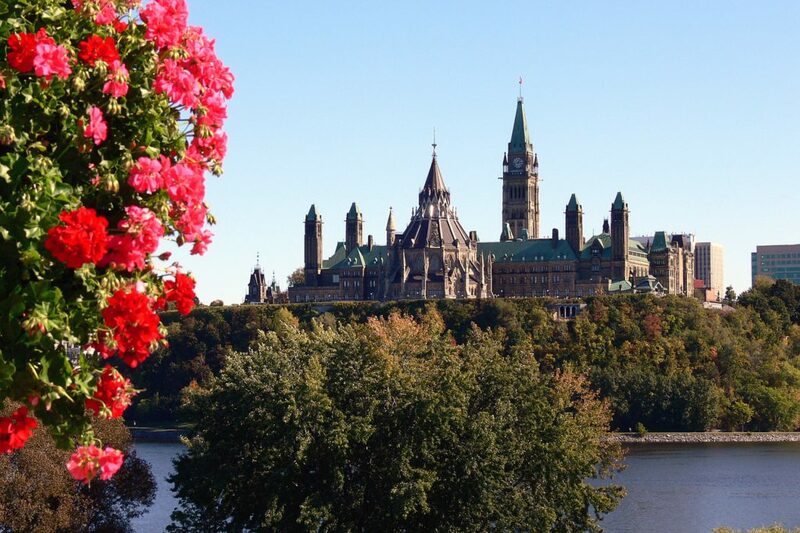 Ottawa, the capital of Canada, is a beautiful city and home to the Parliament Buildings, the Rideau Canal and the Canadian Museum of History, festivals and markets. It was ranked as one of the world’s cleanest cities by Forbes in 2007. Carlington, which is where we were house sitting, is a neighbourhood in Ottawa, located in River Ward in the west-end. The community association boundaries are Clyde Avenue to the west, Carling Avenue to the north, Fisher Avenue to the east and the Central Experimental Farm Pathway to the south. Approximately 2000 dwellings were built from 1945 to 1960 and were meant for returning veterans of World War II and were known as war homes. Many of the streets also reflect this military heritage such as Viscount Ave., Admiral Ave., General Ave., Veteran Ave., Crerar Ave.
Vivian is a very interesting woman, almost a perfectionist in details and organization. I have to say, she is one of the most organized people I have ever met. Beyond the guide provided on Trusted House Sitters, she had everything outlined for us so there was no guess work. Like our previous hosts, she made sure we were well provided for and that our stay would be an enjoyable and comfortable one. We stayed with Vivian our first night and had an opportunity to get to know her a bit and go over things. She is very personable, has a wonderful but quiet sense of humour, and entertained us with information about the house and the area. As mentioned earlier, this house sit was a month and there were no pets. However, there were lots of plants, inside and out. Again, everything was detailed so we knew when and how much to water them. The house required very little maintenance, was very clean and comfortable. Because there were no pets, the hardwood floors were easily maintained. 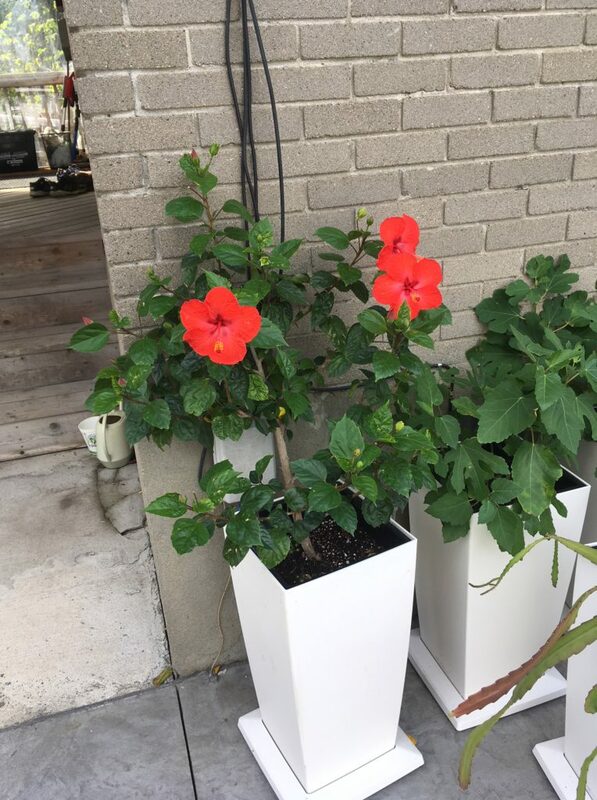 There were several plants, some I was familiar with and other beautiful ones that I had no idea what they were! Outside, we had two backyards and more plants! The weather was seasonably warm, being August, and some watering and a bit of weeding was required. We had a great area to sit out in and sunbathe and were blessed with many beautiful sunny days. We also saw some spectacular sunsets. 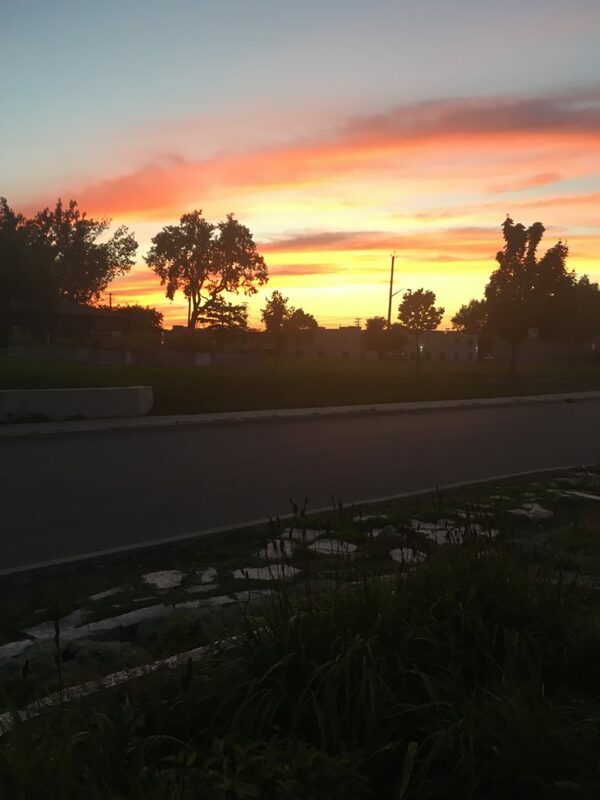 My husband and I took this month long opportunity to get into shape and lose some weight by walking almost every day – there were so many routes to choose from. 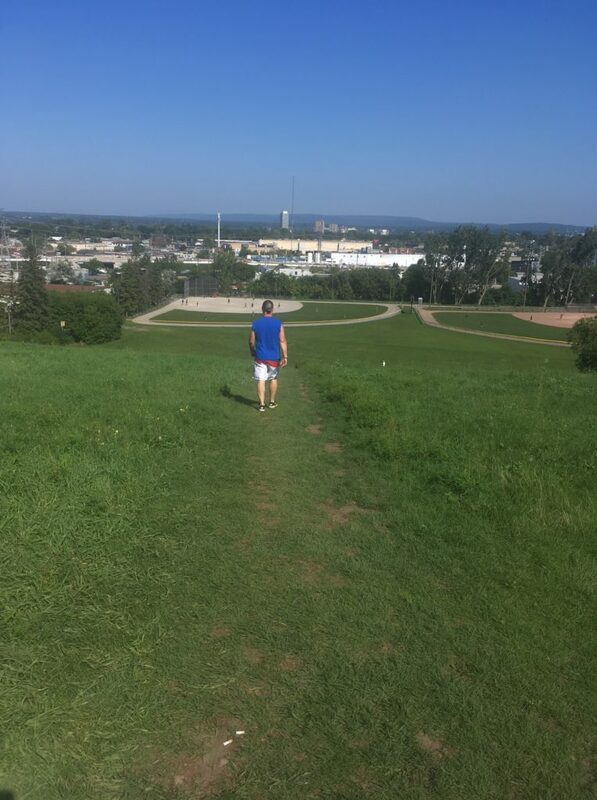 We found a ski hill – Carlington Ski Hill -and steps; no excuse for not getting a good work out. I actually counted both the steps on the stairway and the number of steps it took to climb the ski hill. The stairway was 96 one way and the ski hill was 170 one way!! I was amazed at the number of people we encountered on the ski hill. Turns out it is a very popular place for the locals to exercise! Our neighbours told us if we wanted to get a great breakfast, close to us, we should try a little place called Reynolds. The first time we went, it was a Sunday morning and it was packed, with more people coming in. We ate there a few more times; it was always busy, had great service and excellent food. We discovered a little joint called Joe’s Pizza and Sports Grill about 5 minutes from the house. Since my husband is a sports enthusiast, he was happy! Plus they made great blueberry pancakes. The original owner of this sports bar sold this one and opened a second one so, of course, we had to go check this one as well. Since the lunch hour was over, the owner actually sat and had his lunch at a table next to us so he could talk with us. We found out he was from Lebanon and has been in Canada for over 30 years. His name was…Sam! He had some great stories to share about his family and the area. We are a beach loving couple and make it a point to always find time to go to a relaxing beach. Nearing the end of our second week, we had a beautiful sunny Friday with temperatures promising to be in the high 20’s and decided it was a great day to play hooky. Besides that, the next week’s forecast, although warm, predicted no sun so we didn’t want to waste this day. Not knowing Ottawa, we decided to trust Google and get some reviews. We opted for a beach called Britannia Beach, located on the Ottawa River and about a 10-minute drive from where we were staying. School was still out for summer so it was very busy! We went back again, on a weekday, after school started and really enjoyed ourselves. 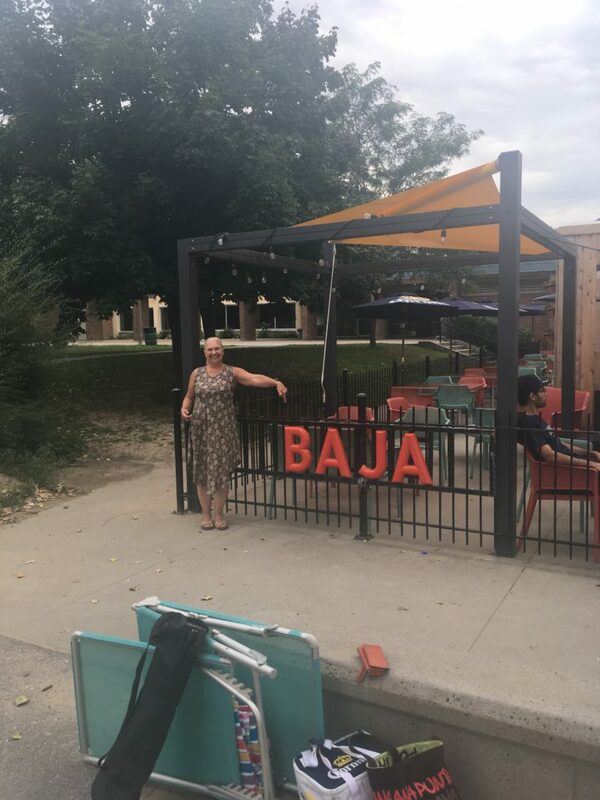 Britannia is a large park with outdoor showers, bathrooms and a cool restaurant called the Baja Burger Shack. We had beer and fish tacos. Yum! For families who like to bring their own food, there were lots of picnic tables, barbecue pits, grassy and shaded areas – a great place to let your kids play and enjoy the day! The beach had lifeguards and volleyball nets that you can rent by the hour or day. Looking after so many outdoor plants wasn’t a hardship. When Mother Nature wasn’t watering, I was! But again, Vivian had it all set up with a hose and watering cans to make the job easy. Since we had no pets, we had lots of freedom; we met our neighbours who were awesome and gracious enough to let us use their barbecue on occasion. This is a great neighbourhood to get out and walk in and putter around. I would definitely recommend Ottawa as a place to visit. Our time was rather unstructured as we were house sitting but if you are going on holiday, it would be good to plan what you want to see and do as there is so much. As with our previous two house sits, we enjoyed this opportunity and received another glowing 5-star rating! We definitely look forward to next year. If house sitting is something you are interested in, don’t wait. There is no time like the present! IF YOU MISSED PART 2 click here. If you have some good stories about house sitting, please share. Last time I went to Ottawa was to see the Parliament House and that’s all we really thought there was to see. But thanks to your blog, we know where to go for next time. We never thought that there was much else to see. My husband and I were the same way – never realized just how beautiful Ottawa is and how much it does have to offer – whether you are looking for quiet, trails, movies or history. I can’t wait to go back next year and see and do lots more!